We've been in our new house for around six months now. It's nice and it suits most of our needs. I miss our old house, but the lack of garden space meant that Jill and our dog Daisy were trapped indoors most of the time. It's nice for them now that we have a nice garden - they play in it, hide under the weeping willow, run around, fight with each other because both of them want the ball and Jill and I enjoy having our little lunch picnic's together in the garden (once we've gotten rid of Daisy's poo! :P). So, the little creatures are happy and I sit around looking at how I can make the rooms feel cosier and all sorts of ideas pop into my head and I like that. However, the one BIG thing that is missing is somewhere for me to print. I'm not up for using the dining room or the guest bedroom as I've been there, done that and Oh! What a lot of mess! So, I thought long and hard and decided that I would get myself a garden shed! This is George Bernard Shaw and his shed. 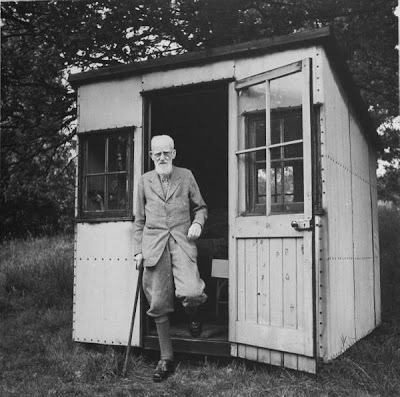 It was his writing hut and was hidden away at the bottom of his garden. It seems it could be rotated to catch the sunlight or just to change the view! A shed covered in creepers! 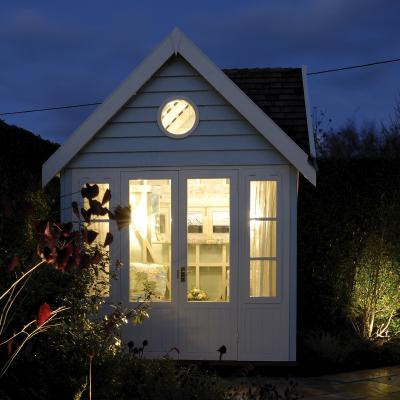 Definitely what I want for my shed. But I'd like mine to be covered in hops instead of ivy and I probably wouldn't be walking to it in my bath robe. This shed is actually the owners bathroom. Read more about it here. 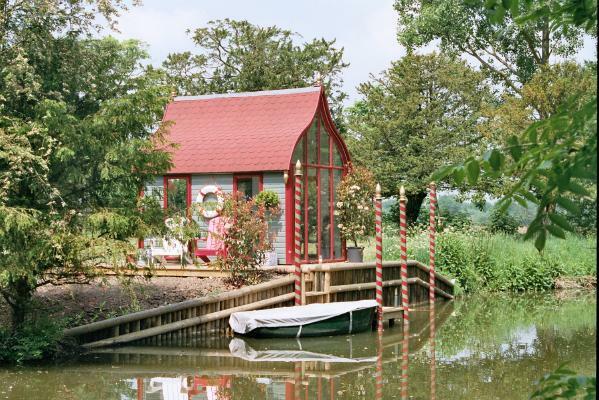 A contemporary shed. From Painted Pavilions. 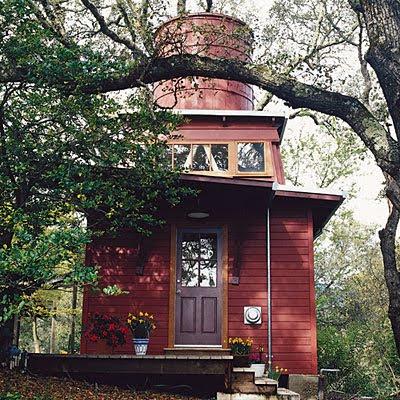 A 1920's backyard water tower, now a home office. More about it here. 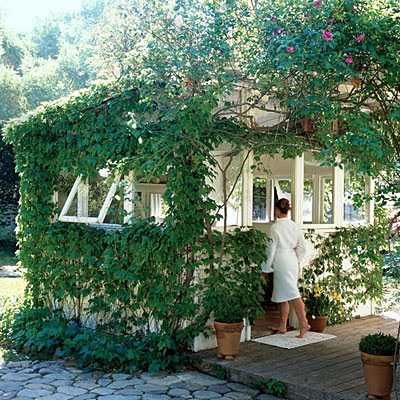 A cosy looking shed, surrounded by greenery. Available from GBC Buildings for Leisure. 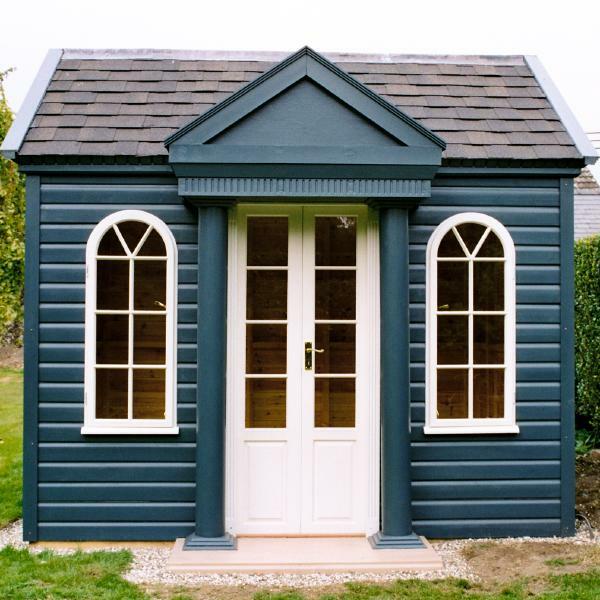 I love the colour of this shed. Available from Painted Pavilions. Now, if only there was a lake nearby. Gorgeous setting! From Painted Pavilions. I'd love this to be mine! Also from Painted Pavilions. 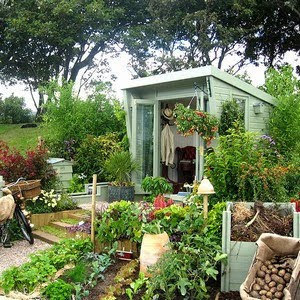 However, realistically, I think THIS shed is probably the one I will be calling mine soon. It's within my price range and I love the pent roof. I can also opt to have it painted, and I think I will be drawing inspiration from the many beautiful sheds I've seen into making mine a place I can call my own. My little hide away! 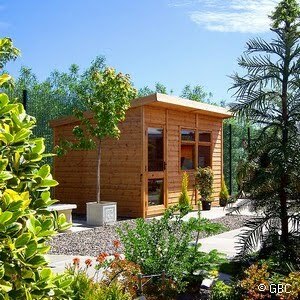 This shed is available from GBC. 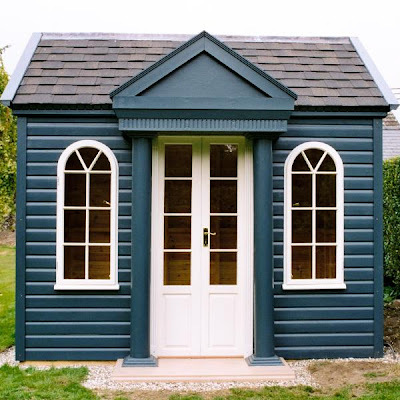 Hello, I love that dark blue shed too! I've grabbed myself a bit of the garage for printing at our new house, much much better than the kitchen table - no more cornflakes in the ink. Good luck with your new shed. Wonderful post! 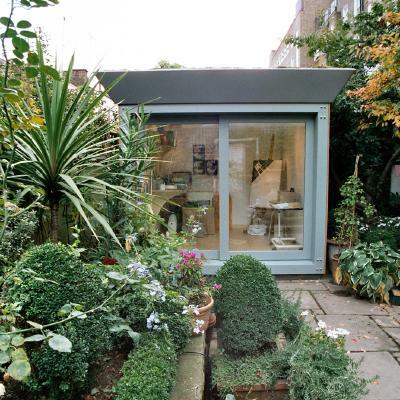 The times I've been tempted to stick a shed in our tiny little courtyard....I can't wait to see yours. Handprinter : I considered the garage too, but it's packed with stuff! :P Haha, yeah, nothing worse than colourful cornflakes! Helen : I like the idea of not having to 'go to work' too. Especially since I will have 2 kids soon! Jesse: Thank you! Yeah, maybe u should! Not sure how cold it gets in SA, but yours might not even need to be insulated. I can't wait to see mine too.... decisions decisions! Love the water tower shed! We also use our back shed (now built in brick) as a room for work, my son's 'den' and a gym! I think the water tower shed has to be my favourite one too. I like how they didn't just knock it down but made it work for them. Unique! Go for it! I love mine, so many great inspirational pics too how could you not! Have a sweet day!